Kittyhelp: Looking For Landscaping Advice! So I’ve moved locations and I need your help Kittyreaders! 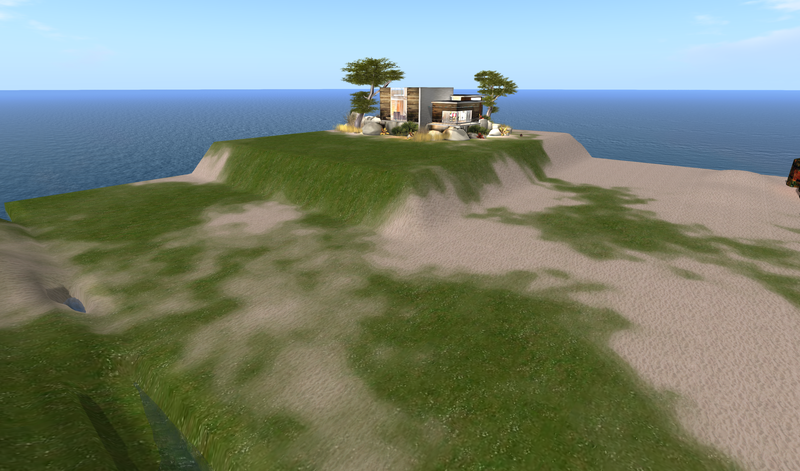 Basically I am bobbins at landscaping in Second Life. Don’t get me wrong, I know a good location when I see one, and love wandering around the beautifully landscaped places that the grid provides.But when it comes to creating my own, I really don’t have a clue. As you can see I’ve already installed (and furnished, obviously) my wonderful Bazar Arizona Home. That’s non-negotiable, I have to have my home. To the front and front-right I can see my neighbour’s stuff and things. So, I’m looking for ideas Kittyreaders. For a start, how do I hide my view? I thought sim-surrounds could be an option but I’m confused. I know nothing about them, but I do need something that will offer me privacy and enable me to enjoy my view. One thing that is certain is that I know that I’d like to give the space that surrounds my home a woodland feel, which is my favourite kind of environment. But I could benefit from some advice, obviously. For example, which stores and locations should I be visiting for design inspiration? As a reference point, I really like the way that The Seasons Story looked, so I’ve visited again and clicked on a number of items to find out where they are from, which has given me a number of places to visit to price up nice rocks and trees and things. Be cost effective. I don’t want to litter my place with cheap-as-chips trees with shoddy textures; anything I buy should preferably be copy/mod so that I get best value for money. So, Kittyreaders what can you suggest? I’m really hoping you can help with some cool ideas. As a total noob to this kind of thing I don’t mind admitting I am completely out of my depth, but I do know that learning, especially in Second Life, can be heap loads of fun, so any advice is greatly appreciated. Oh, and I will of course keep you updated on progress via this blog, and if it ends up looking good I’ll invite you round for a cuppa! 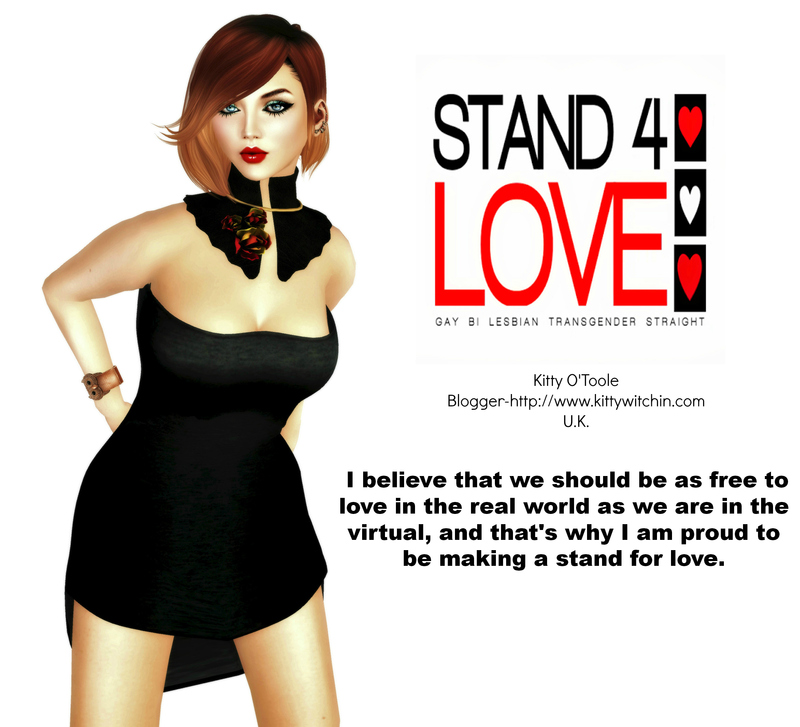 Kitty’s Fave Blogs #2 – ‘The Fashionable Heart’ by Heidi Volare. I’m a fan of Two Moon Gardens & Petals On The Wind for trees and plants. Surrounds are a good low-prim option if you can find one you like, and aren’t even that hard to make (coming from a non-builder, that’s saying something!) 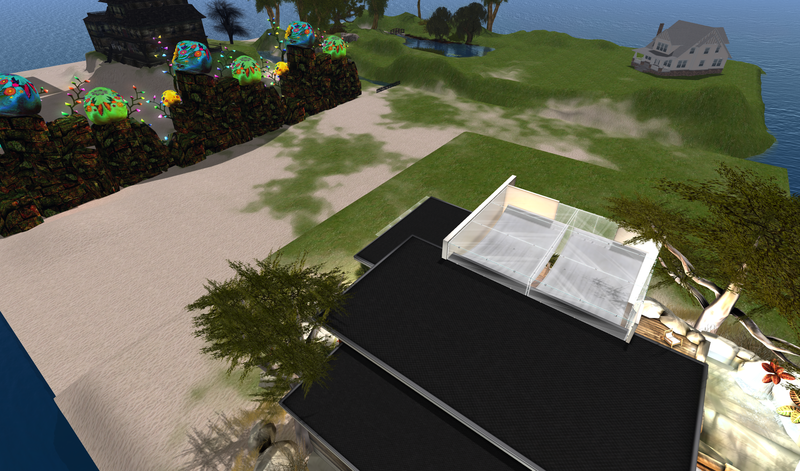 Basically, they are mega-prim sized structures that usually have a transparent side facing the neighbours so their view isn’t blocked, but are opaque on the side facing your parcel so that you can’t see the offending build next door. The trick is to find a high quality image that either doesn’t need repeats on such a large scale or works well with vertical repeats so you have a seamless image. Another option might be a garden wall, which can be resized. I know Two Moon Gardens has those. I deffo need some sort of surround, for sure, but at the moment I am beyond excited about Studio Skye’s building sets..I may have to indulge!